Witnesses – v. 19 — Ten disciples were prepared to say they had seen the risen Lord. Objection – v. 25 — Thomas just could not take their word for it. Thomas was not there, he did not see. Uncertainty of unbelief – v. 25 — It wasn’t the case that Thomas would not believe. He would if only his conditions were met. If we were to rely on him as a witness, then we can be grateful that he was cautious. Nail prints – vs. 26-28 — When Jesus returns he shows the nail prints and invites Thomas to touch them. These were the wounds that Jesus received on the cross. In the history of the church they are called the stigmata. Perhaps Thomas knew in some sense that these were wounds he should have received. Scripture teaches that he was wounded for us. These were the wounds that should have been ours. Declaration of Divinity – v. 28 – 29 Thomas may have been cautious, but he was no doubter. He declares Jesus to be Lord. Have you ever made that decision to declare Jesus to be Lord? Why not follow Thomas’ example? Exemplary story: In the news this past week one of the first persons to receive a full face transplant was married to a woman who was a burn victim. The man without a face married the woman whose body was covered with burn marks. What a story of love. A still greater story of love is the story that we can be embraced by a risen Savior whose hands bear the wounds he received on the cross. Crowd – v. 12, 17 – In the crowd were witnesses to Lazarus’s resurrection. Now they were prepared to receive the Messiah. How short lived that would be. Outcry – v. 13 – Hosanna. Take a moment and imagine the scene. People crowd the path that leads into the city and to the temple. 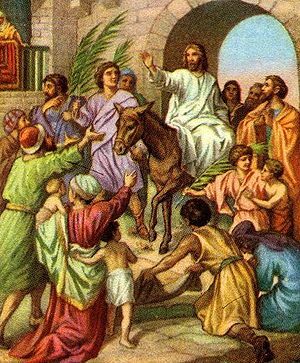 They cast down their coats, put palm branches in the street, and cry out to God. Can you hear them cry out to God? They are praising God in the highest. Legation – v. 21 – The Greeks came to Philip. He took them to Andrew. Andrew did what we should do. He led them to Jesus. This marked a turning point. There were men who wanted to see Jesus. In our generation there are men and women who want to do likewise. They need someone to serve as Andrew. Threat – v. 19, 10-11 – To the leaders this was a threat. They were jealous. They were fearful. Their power was in danger if the crowd followed Jesus. So, they did something diabolical. They set in motion a plan to have Jesus killed. Anxiety of Affliction – v. 5 – For 38 years the man lay ill. That is a long time to keep an illness. Hearsay hope – vs. 4, 7 – The man’s hope was a wish and a superstition. He hoped an angle would solve the problem. It was something to cling to. Do you cling to hopes that are hearsay? Encounter – vs. 6-8 — Jesus met the man and offered him a blessing if he would have it. During a course in pastoral counseling students were warned that they must always ask the patient’s permission to pray, etc. Jesus wanted to know if the man wanted his help. Admonition – vs. 8, 14 – Before they could conclude their conversation Jesus and the man parted. Later Jesus has a word of advice: “Go and sin no more.” Have you ever noticed how Jesus was not focused on the seedy past of people. Surely that is a lesson. He is about preparing people for heaven. Divine divulgence – vs. 15, 17 – There was now no doubt about who did this. The man proclaims that it was Jesus. Jesus allowed the man to put sin and sickness behind him. He gave the man a gift for the present, and he gave the man a hope to cast off the uncertainties of the future. Urgency – v. 47 — The boy is about to die. The father wonders if it is too late. Of course, it is only too late for the father if he does not reach Jesus. 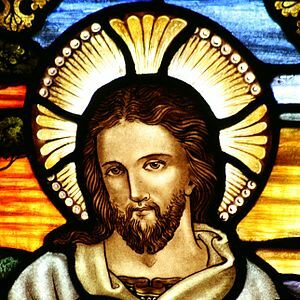 Nobleman – v. 46 – The man who approaches Jesus is royalty. What good does his title do him now? Sometimes our privileges and ranks cannot avail when we are in dire need. Chiding – v. 48 – Jesus is willing to heal. He has healed many. Why must they see to believe. It should be the opposite with them and us. If we would believe, then we would see. Hour – v. 52-53. — The man makes his way back home. He meets one of his servants coming to him. The news is the best news. The boy is well. When? It happened on the lunch hour, 1 PM. It happened just when Jesus said it would. His word is law. Exemplary story: Within the last decade businesses have begun to use a just-in-time inventory system with great success. The order is place and then the inventory is stocked and shipped. For centuries God has had in place a just-in-time system for answering prayer. Prayer is gets exciting when we come to appreciate that we receive answers at the very hour that the Master hears our prayers. 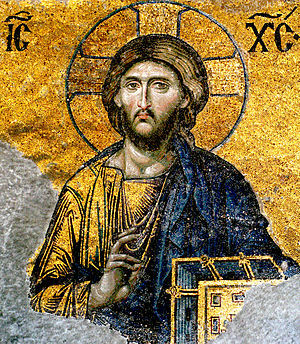 Sign – v. 2 – Nicodemus like the rest of the generation could not help but notice the works of Christ. Have you taken the time to see them today? 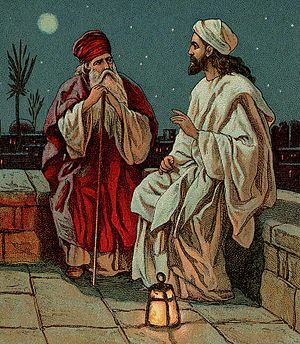 Night – v. 2 – Nicodemus was a high ranking official. He could not afford to be seen with Jesus just now. Nor could he afford to not consult Jesus about his ministry. Again – v. 3 – To Nicodemus Jesus said, “You must be born again.” Today as then we must be born of the water and we must be born of the spirit. Kingdom – vs. 5, 10, 12 – The man who came to Jesus was an earthly lawyer. What Jesus had to teach was about a spiritual kingdom. So often we get caught up in the order of the day that we forget what Jesus was about . He was about teaching that that there is a spiritual life. Eternal life – v. 15 – Something that could never be found in the law was now promised. Jesus was promising that he would bring eternal life. The rescue by Moses in the wilderness was just a shadow of what was offered now. Exemplary story: On the farm we would often have a patch of sweet corn planted in one of the outlying fields. On particular season when I was very small the field corn patch was planted in the east acre patch. I remember hearing that the crop was in danger of being lost to marauding crows. My dad managed to shoot a crow. He nailed the crow to the longest pole he could find, and he nailed that pole to a fencepost in the sweet corn patch. The uplifted crow saved the remaining harvest. For us today the uplifted Christ is God’s promise to save us from our sins if we believe and obey.